On November 13, Historic New England Executive Vice President and COO Diane Viera presented our 2017 Community Preservation Grant for Massachusetts to the Longmeadow Historical Society. The grant money will help create a new exhibit room at the Storrs House Museum to display Through the Lens: Longmeadow into the New Century 1890-1920. The exhibit, which tells the story of the town during that time period, includes images from 1,500 glass plate negatives taken between 1900 and 1927 by local photographer Paesiello Emerson. 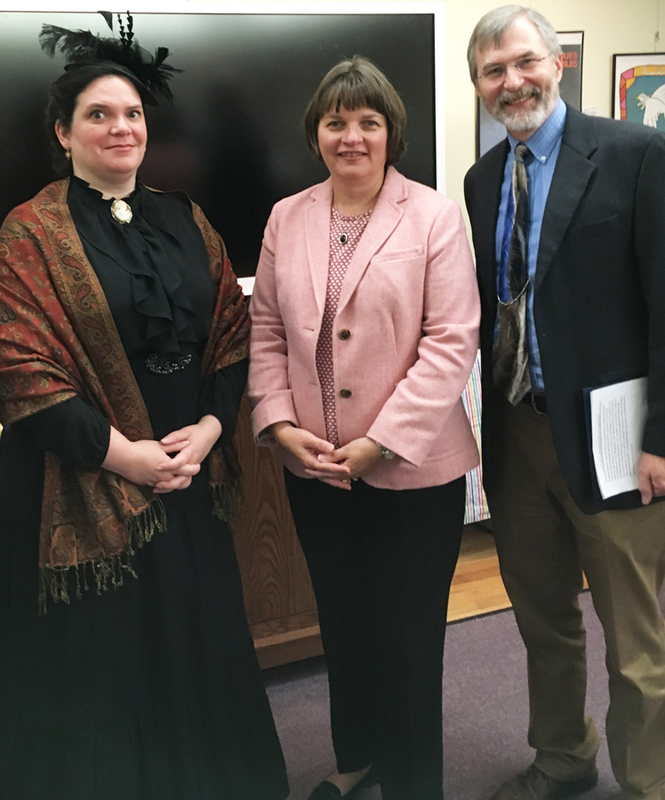 In addition to the check presentation with historical society President Aldred McKee, the evening included a portrayal by Melissa Cybulski of Sarah Storrs, who donated the Storrs House and associated property for the benefit of the Longmeadow Historical Society and the Storrs Library. See the full list of 2017 Community Preservation Grant awardees.